Beyoncé Knowles-Carter has joined the cast of Disney's live-action remake of The Lion King playing lioness Nala - Simba's childhood friend and eventual wife. Her screen credits include Dreamgirls, Epic, Obsessed, Austin Powers in Goldmember. The Lion King will be directed by Jon Favreau and is scheduled to be released in summer 2019. 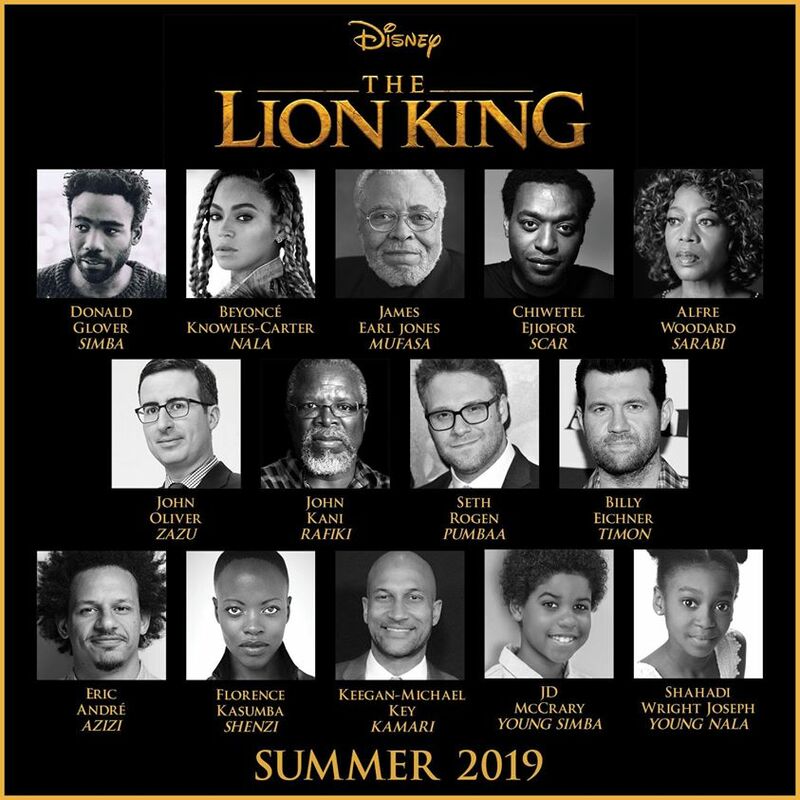 Donald Glover will voice the role of Simba with other cast members including Keegan Michael-Key (recently seen Off-Broadway in Hamlet) as Kamari, John Kani as Rafiki, Eric André as Azizi, Florence Kasumba as Shenzi, JD McCrary as Young Simba, and Shahadi Wright Joseph (an alum Broadway's The Lion King) as Young Nala. 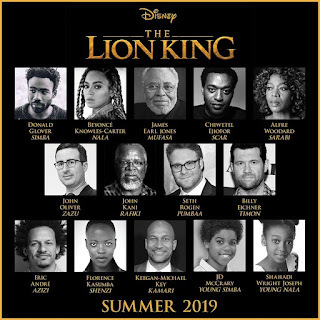 They join the previously announced James Earl Jones as Mufasa, Chiwetel Ejiofor as Scar, John Oliver as Zazu, Seth Rogen as Pumbaa, Alfre Woodard as Sarabi and Billy Eichner as Timon. Disney's remake of the hit 1994 film The Lion King will be a combination of CGI and live action, similar to The Jungle Book remake which was also directed by Favreau. 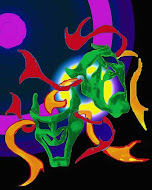 Jeff Nathanson will write the screenplay and songs from the original movie are expected to return; .